Rebel is a beautiful purple hue with a smooth satin finish. 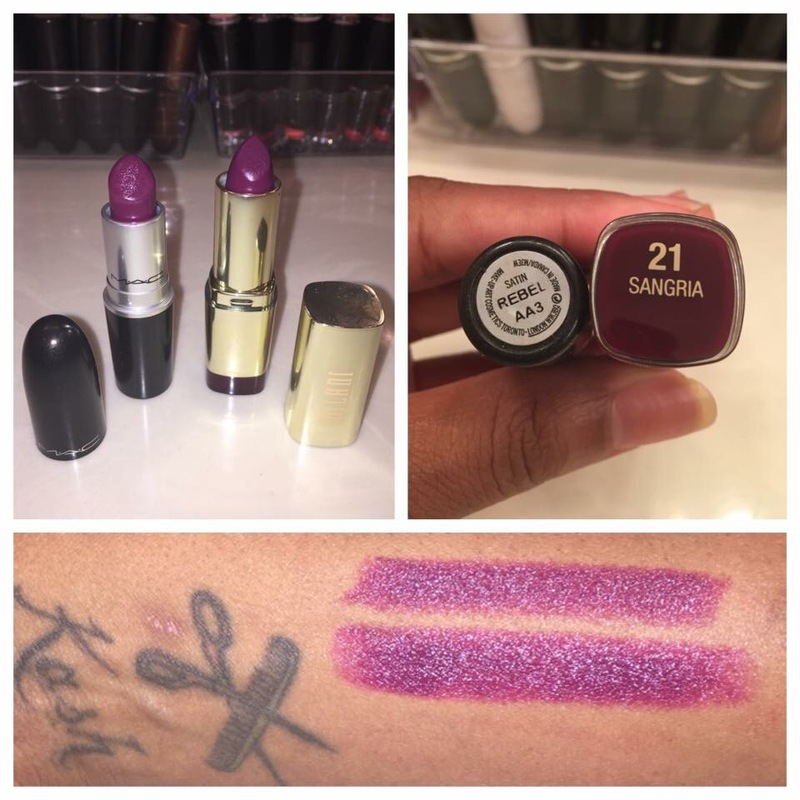 Meaning, it’s a long wearing color, similar to a matte but has a moisturizing sheen that’s not drying on the lips. Sangria is the perfect affordable dupe. With the same richness in color, you get the same color payoff for almost a 1/3 of the cost.